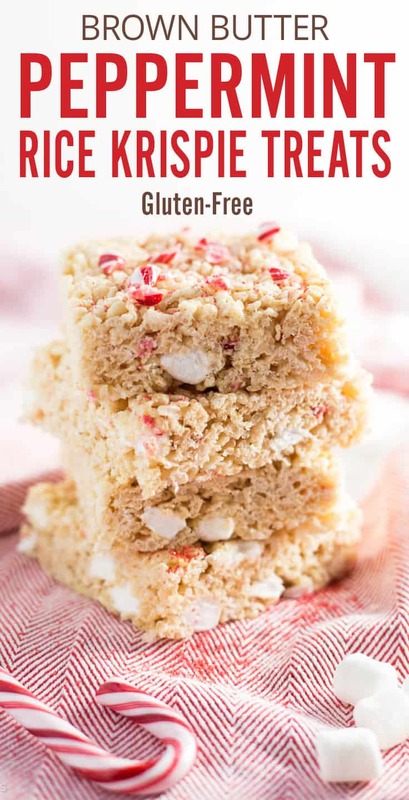 These Brown Butter Peppermint Rice Krispie Treats are an easy holiday and Christmas dessert that will impress your guests. Crispy rice cereal, marshmallow and peppermint in a sweet and chewy dessert bar and they couldn’t be easier to make! The holiday season is an important time of year for my family. 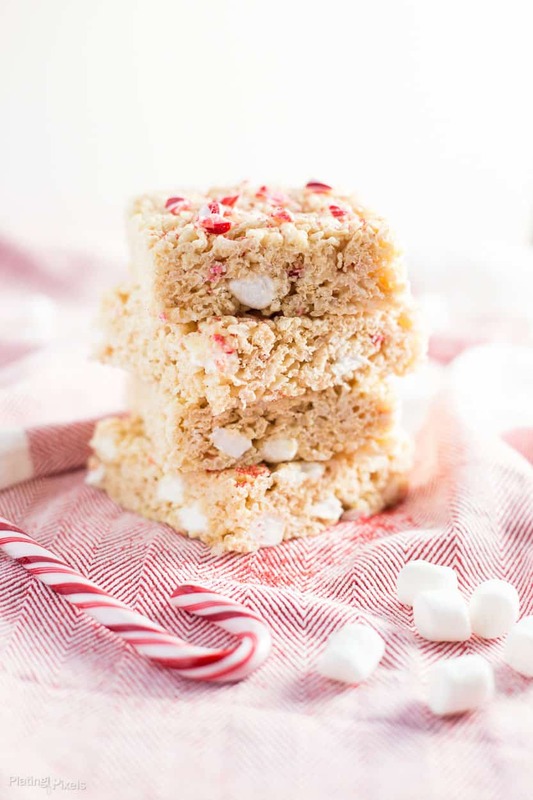 Besides the excuse to make decadent recipes like these Brown Butter Peppermint Rice Krispie Treats, it’s a chance for us to spend more time together. These Peppermint Rice Crispy Treats are a perfect example of a holiday recipe my family can enjoy together. Crisp and chewy rice krispie bars perfectly sweetened. The great thing about these is that they are so simple and easy to make so you have more time to spend with your loved ones. Or even better, make these treats together for more quality family time. When browning the butter make sure to watch carefully while stirring. Take it off the heat as soon as it turns a golden brown color, if it burns it will give a bitter taste to the rice krispies. Remember to line your baking pan before adding the mixture, these can be hard to remove without it. 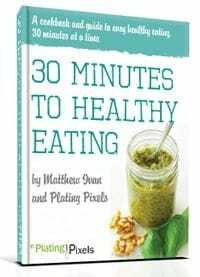 Don’t add any more than 1/4 teaspoon of peppermint extract as it can be overpowering. Chill the rice krispie treats in the fridge to firm up before cutting. This speeds things up and makes it much easier to cut into squares. 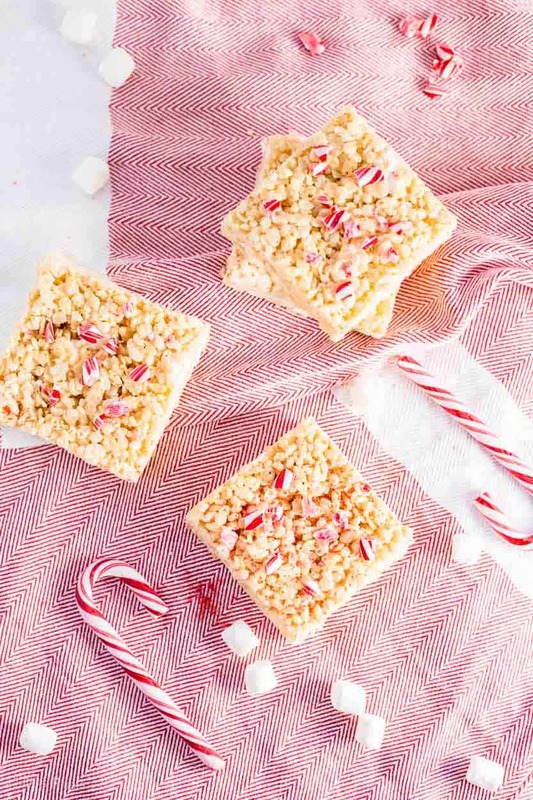 Making Brown Butter Peppermint Rice Krispie Treats is extremely simple so you’ll have more time to enjoy family. Browning the butter just takes a few extra minutes but is so worth it to add that nutty, savory flavor. 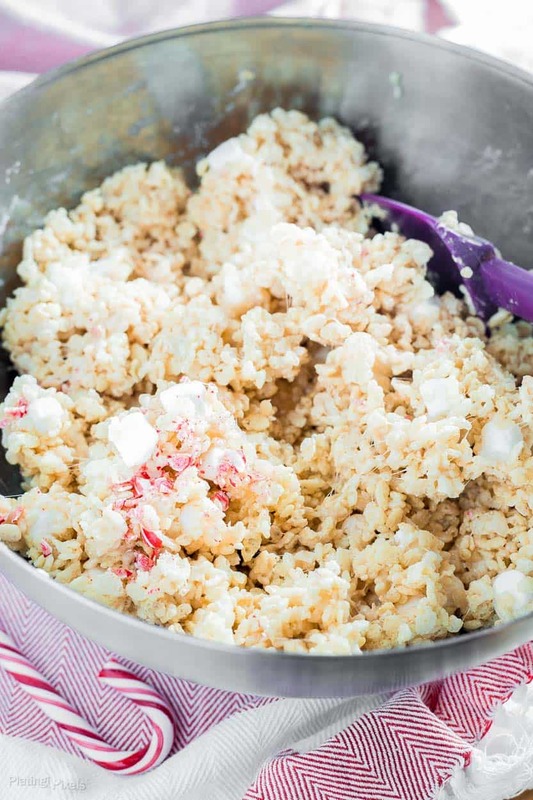 I adapted this from the classic rice crispy treat recipe, but with a fun holiday twist. Peppermint extract goes a long way to flavor an entire batch, just add a quarter teaspoon and the crushed candy canes gives it crunch, color and extra flavor. Yes, these festive treats can be frozen although they also store well out of the freezer. To freeze, wrap them tightly in plastic wrap, tin foil and store them in an airtight container. For general storage just wrap them in plastic wrap and store in a suitable container for up to 1 week. Flavor profiles: Perfectly sweet with just a hint a peppermint. Texture: Chewy, sticky and soft dessert bars, with a bit of crunch. Dietary Options/Substitutions: Make sure your cereal is gluten-free. 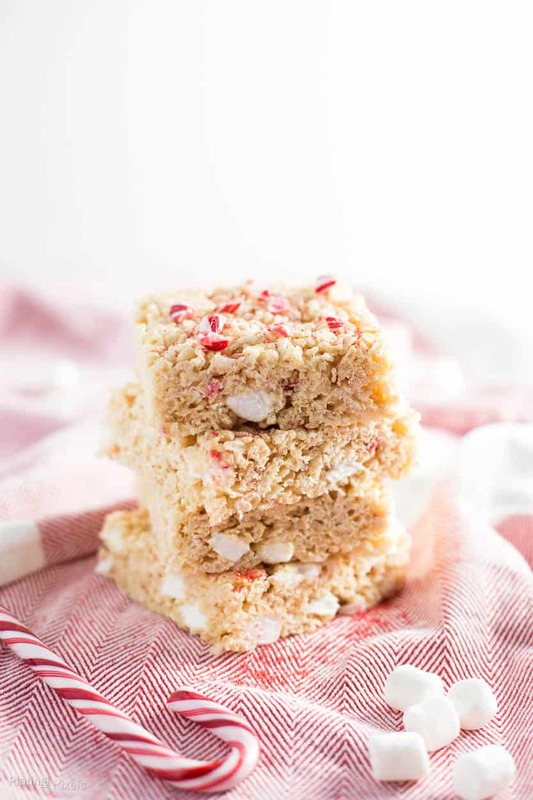 Rice krispies, marshmallow and peppermint in a sweet and chewy dessert bar. Cook butter in a large non-stick pan over medium heat for 5–7 minutes, stirring often, until butter turns golden brown (be careful not to brown too much or burn). 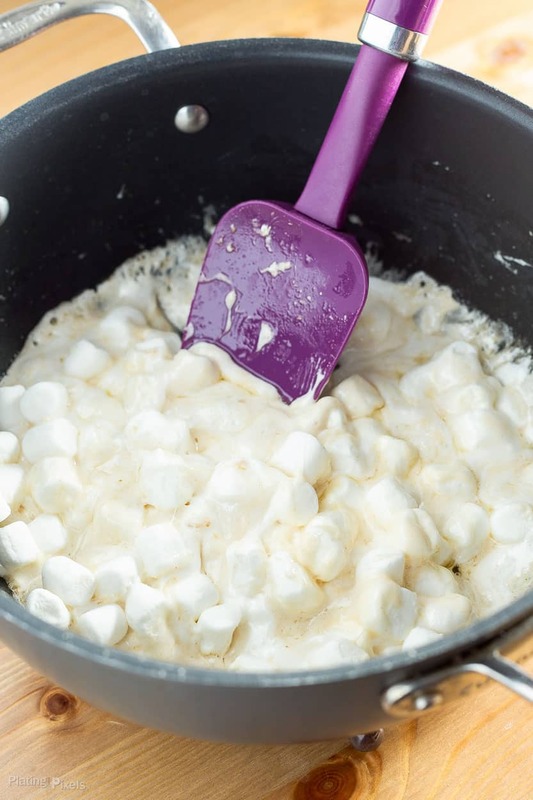 Reduce heat to low and add in marshmallows. Stir often until melted, then stir in peppermint extract. Remove from heat, stir in rice cereal and peppermint pieces until evenly coated and all cereal pieces are clumped together. Line a 13 x 9 x 2-inch pan with parchment paper. Add rice krispie treat mixture to pan, use another sheet of parchment paper to pat down and form into an even flat layer. Chill slightly to firm if desired, then remove from pan and cut into squares. Store in sealed container or fridge to keep freshness and texture. When browning the butter make sure to watch it carefully whilst stirring. Take it off the heat as soon as it turns a golden brown color, if it burns it will give a bitter taste to the rice krispies. Don't add any more than 1/4 teaspoon of peppermint extract as it can be overpowering. Chill the rice krispie treats in the fridge to firm up before cutting this speeds things up and makes it much easier to cut into squares. Perfect for this festive season!!! Glad I was able to provide a new idea for you. Thanks Tisha! I love the brown butter flavor addition! And the peppermint makes these perfect for Christmas! Glad you like them and thanks Danielle! Oh my goodness! I love homemade rice crispy treats and these sound so great for the holidays. I’m sure the brown butter gives them such a great flavor and the peppermint adds a festive note. It totally does. Brown butter is a great addition to a lot of items. Thanks Darlene! These are pretty easy and a fun treat for the holidays! Thanks Adriana.